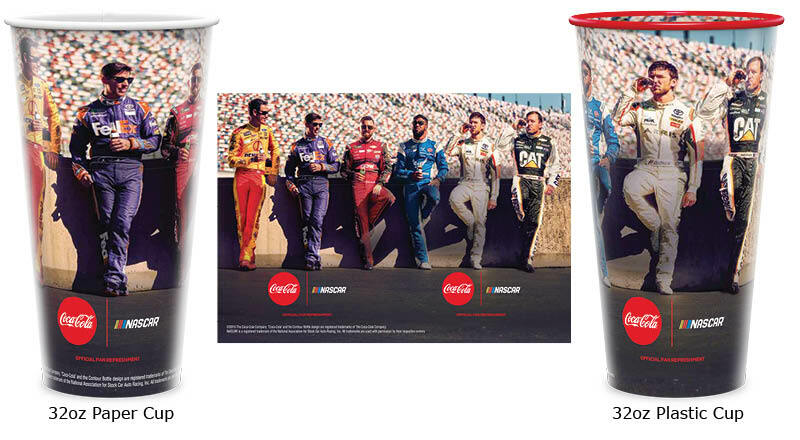 Celebrate the 2018 NASCAR season with Visstun’s Coca-Cola® cups. You can choose from the Souvenir plastic or single-use paper cups. Although it is always good to order early, we will be running the Coke NASCAR Cup program into October, so please reach out even if it is a last-minute request. Visstun also offers co-branding or custom art on any of our sizes in plastic or paper. For information on co-branded NASCAR cups, please email us or call (800)401-2910.